Wits University assists the missing middle with funding through corporate donations. 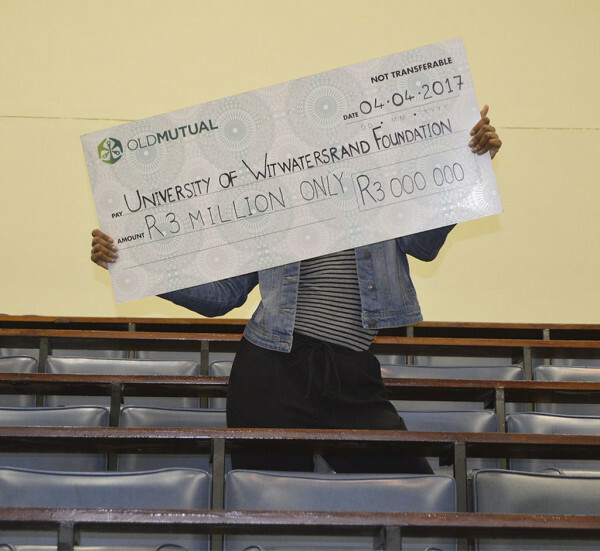 Wits’ missing middle students stand to benefit from a R3-million donation to the university earlier this month. Investment firm Old Mutual contributed the funds which will be used to assist students who do not qualify for the National Student Financial Aid Scheme (NSFAS) and their household annual gross income is less than R600 000, students now referred to as the “missing middle”. “We really appreciate the corporate support. People are coming on board. The donation is not a first of its kind. We really appreciate the significant donations the certain corporates have made. It is an ongoing relationship and we are deeply appreciative,” said Peter Bezuidenhout, director of the Wits Advancement, Development and Fundraising Office (DFO). Steyn stressed that all students should apply to the discretionary funding student portal. The application is added to a database and students that match donor’s criteria may receive funding, taking people off the database. ” [This] makes it easier for us and can keep track of what is happening,” said Steyn. In 2016, Wits received a total of R78 million in donations, which came from the wide range of donors to the University: corporations, corporate foundations, philanthropic foundations, SETAs and individual donors. Old Mutual hands over a R3-million cheque, donating to the missing middle. The corporate donation supports the recipient student in different ways depending on the donor’s requirements. The most important factors the donor are concerned about is, “how can the donation be spread. Sometimes there is a specific amount allocated per student. The donor looks at what are their causes and what they need. In the case of the Old Mutual they are looking at about 100 students to fund”, said Steyn. The DFO is currently in the process of identifying qualifying students. However, the entire process will take a few weeks before the money is allocated to ensure a, “fair, justifiable and auditable process,” said Bezuidenhoudt.